Luc Besson's Valerian and the City of a Thousand Planets introduced audiences to a future populated by weird and wonderful aliens and laced with incredible futuristic technology. 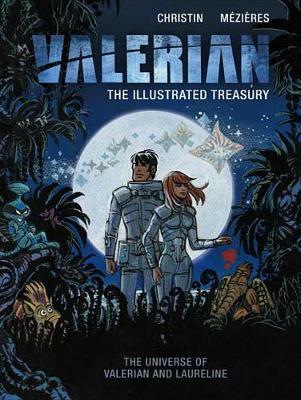 Now discover the universe of the original Valerian and Laureline comic books!Valerian: The Illustrated Treasury gives a comprehensive overview of the Valerian and Laureline comic-book universe, featuring information on key locations (including Central Point), transport, galactic anomalies and a timeline of the major events in the series. This richly illustrated book also introduces many of the alien races and characters - friendly and hostile - and there is a special section on the ever-popular Shingouz.Printed in English for the first time, Valerian: The Illustrated Treasury is a wonderful addition to the Valerian franchise and features full-colour artwork by Valerian and Laureline artist Jean-Claude Mezieres.